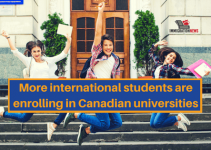 International students can profit from a great opportunity offered by the Canadian government after finishing their studies in Canada. Graduates from eligible Canadian institutions can apply to obtain an open work permit called Post Graduation Work Permit (PGWP). Keep reading to know more about the PGWP, its requirements, and advantages. 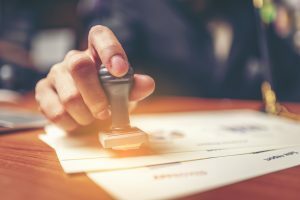 Can I apply for Permanent Residency if I hold a Post Graduation Work Permit? 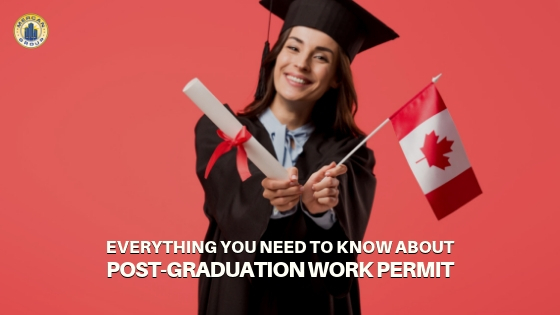 The Post Graduation Work Permit (PGWP) allows recent graduates to gain valuable Canadian work experience, which can grant decisive points for immigration in the future. Skilled workers (under NOC A, O or B) that gained experience through the PGWP may qualify to apply for Permanent Residency. 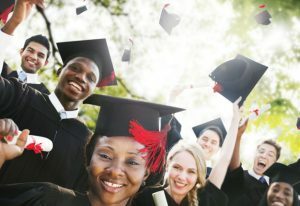 Who can apply for a Post Graduation Work Permit? After graduation, international students may obtain a PGWP for up to a maximum of three years. To qualify, the student must have continuously studied full-time in Canada and must have completed a program of study that lasted at least eight months. In addition, the student must have graduated from a Canadian designated learning institutions (DLIs), although not all DLIs makes a student eligible for a Post Graduation Work Permit. 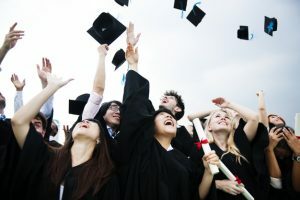 Graduates must apply within 180 days of receiving written confirmation (for example, a transcript or an official letter) from the institution indicating that they have met the requirements for completing the academic program. Also, the student must have completed and passed the program of study and received a notification that he or she is eligible to obtain your degree, diploma or certificate. The graduate must have a valid study permit when applying for the Post Graduation Work Permit. Students are ineligible for a PGWP if they have previously been issued a Post Graduation Work Permit, participated in certain scholarship programs, completed most of their program of study by distance learning and/or completed a program of study delivered by a non-Canadian institution located in Canada, regardless of their length of stay in Canada. English as a second language or French as a second language course or program of study, general interest or self-improvement courses and a course or program of study at a private career college are not eligible for PGWP either. What type of institutions qualifies me for a PGWP? 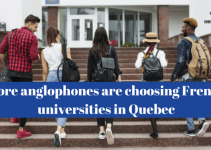 Graduates from Quebec vocational institutions with a DVS or AVS must fulfill additional criteria in order to be eligible. Also read: How to become a permanent resident in Canada after graduation? Do I need to apply from within Canada for my PGWP? The candidate may apply for a Post Graduation Work Permit from within Canada or from overseas. Graduates can apply within Canada if their study permit is still valid. If the applicant’s study permit is no longer valid, and they wish to remain in Canada, they must apply for visitor status before their study permit expires. Former international students who change their status to visitor status before their study permit expires, while waiting for their notice of graduation from their institution, may also apply for a Post Graduation Work Permit from within Canada. Graduates who didn’t apply for a PGWP before their study permit became invalid or expired must either leave Canada or apply to change their status in Canada. As mentioned before, it is also possible to apply for PGWP from overseas. For how long can a Post Graduation Work Permit be valid? A Post Graduation Work Permit is normally issued based on the length of the study program for a minimum of 8 months up to a maximum of 3 years. The PGWP validity period is never longer than the passport validity date of the applicant. If the applicant’s passport expires before the validity period of the Post Graduation Work Permit, it is possible to apply for a work permit extension upon the renewal of their passport. That is only circumstance accepted by the Canadian government for extending a PGWP. Applicants can receive only one Post Graduation Work Permit in their lifetime. Do I need an LMIA if I hold a PGWP? Another advantage of the PGWP is being exempt from Labour Market Impact Assessments (LMIA). In other words, PGWP is considered an open permit and allow graduates to work full-time, part-time and as self-employed. Can I work until I wait for a decision on my PGWP? Applicants may work full-time in Canada while waiting for a decision on their PGWP application as long as they applied before the study permit expiration. In addition, they must have completed their program of study, met the requirements for working off campus and did not exceed the allowable hours of work for students. Can I have help to apply to study in Canada or to apply for a PGWP? If you are interested in studying in Canada, Mercan Group can help you. Mercan has the experience and expertise to guide you through the study permit application process. Also, if you are already a student in Canada and wants to apply for Post Graduation Work Permit or to stay as a permanent resident after graduation, Mercan can also help you.